Holter Graham's soothing yet authoritative tone possesses an almost Gandalf-ian quality that will entrance young listeners from the first line in his majestic performance of Patrick Carman's prequel to the Land of Elyon trilogy, which chronicles the adventures of Thomas Warvold and his brother Roland on their courageous trek from a Dickensian orphanage into the titular mist while discovering cryptic clues along the way that illuminate their mysterious past, foreshadow their heroic future, and place them front and center in an epic battle between good and evil. Before the walls went up...there were adventures. 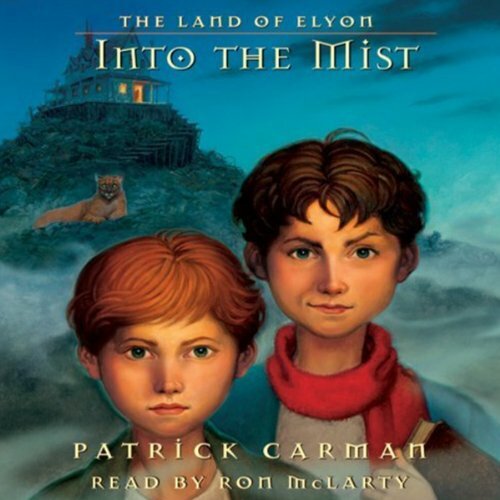 Follow young Thomas Warvold and his brother, Roland, as they journey through Elyon, discovering new mysteries, new challenges, and magical creatures that will change the course of their fate...and the fate of their land. From a humble and unexplained childhood in a very strange orphanage to a series of fearless escapes to a quest full of riddles and exploration, Thomas and Roland find that their identity - and the mysterious tattoos on their knees - are linked to a much greater history than they ever would have guessed. One brother, Thomas, is destined for adventure on land, while the ohter brother, Roland is destined for adventure on sea. But before this happens, they must journey into the mist...and find the truth about both their past and their future. ©2007 Patrick Carman; (P)2007 Scholastic Inc.